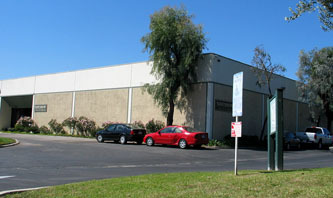 It was in 1994 that Sideshow began producing top quality licensed and proprietary collectibles. From the beginning they made incredibly truthful prop replicas and fine art collectibles, but it was in 1999 with their Universal Studios Monster figures 8-inch Universal Classic monsters line that action figure collectors really noticed how passionately accurate their sculpts were. This attention earned them recognition from many of the trade publications as well as a very loyal fan base. Sideshow reinvigorated the 1/6 scale figure market when they developed their 12-inch figures that were years ahead of their competition. With the release of their Monty Python, Get Smart, Buffy, James Bond, and The Outer Limits 12-inch assortments the line was definitely drawn in the sand. These figures were not toys; they were articulated collectibles. Collector’s around the world hoped and prayed that it would only be a matter of time before Sideshow would create Star Wars figures. As a representative of Rebelscum, I was fortunate enough to meet the fine people at Sideshow at a few special functions over the years, and every time Star Wars was bound to come up. In fact, I can’t remember a single conversation that didn’t include 12-inch Star Wars toys. When the line was announced this past summer at Comic Con, there was a great sigh of relief as I heard that Sideshow got the license they earned knowing that they would be immortalized as the definitive Star Wars figure manufacturer. Considering how many of them are huge Star Wars fans, there is no doubt this line would be great. 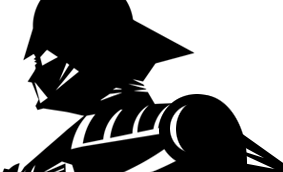 I made arrangements to come down to their offices in Westlake Village, California and talk to them about the future of all their Star Wars products. The following are excerpts of my conversations with Sideshow’s Licensing Coordinator Brock Otterbacher and Jared Chapman, one of the main in-house artists on the Star Wars line. Now that you have the license for the 12-inch line, have you considered bringing articulation into the 1/4 scale line in the same way you did with the T-800 1/4 scale statue? Brock: It has to be a character that lends itself to that sort of articulation. When we first started doing the 1/4 scale, with The Vampire, Nosferatu, he was all floppy because we wanted him to have a little bit of articulation so you could actually pose him. The only problem with this is that he doesn’t hold the pose very well, especially in the legs. With Dracula, [third after] Frankenstein, we did solid resin legs. We still had the arms posable, but it still didn’t quite hold the poses, so we prefer to do it this way. [These figures are] supposed to be a character study, not an action figure. That’s the whole thing, we don’t want to add articulation into these particular figures because we want to take whatever scene and keep it like that. And if it lends itself to the articulation? Brock: If it were a character like a Droid, which we may or may not do, we’d probably add some more articulation into it. It really depends on the character. The more parts that need to be tooled, the more expensive it’s going to be. We try to keep it as cool as possible but we’re conscientious to make it as affordable as can be. Do you look at fan reaction when you show prototypes? Brock: The original Obi-Wan Kenobi 1/4 scale we did we had a picture of it with [a larger hood] and fans were like “What’s up with that! It looks like a Jawa!” So, being a prototype we could always adjust it. So, with fan reactions we take it to heart and do the best we can to listen to them. Are there other alterations from the original design to the sample prototypes beyond the fabric elements? Brock: The first samples back from China of [1/4 scale] General Grievous, the paint was a lot muddier, so it was something we would never show. We just got it from China and said the paint’s not good and sent it back, so it’s back to the drawing board with it. When getting samples back it’s negotiating and trying to get the factories to understand and interpret what we want and how we want it done. How do the opinions of the online communities affect the development of your figures? Brock: Message boards are a great place to talk to people with similar interests and there are a lot of very vocal people on there, but they don’t really represent the true majority so it wouldn’t be in good form to follow exactly what we read. We have a good business structure and we are able to implement that in a successful way, so I think to allow a couple guys posting something to dictate our business isn’t a good idea, but there are some good ideas. We have put prototypes up, and people start pointing out things we forgot. For example, there were some fairly strong reactions to the 1/4 scale Darth Vader. When we first showed it, it was a really early prototype, and we had our issues with it and we were still in the development of it, and it sort of helped locked it in when people started pointing out the things that we may or may not have already known about it. When there’s that strong of a reaction to it you have to take it into consideration. So you’re not a big believer of the petitions? Brock: I’ve seen petitions go up for all kinds of wacky movies, and you got twenty people here [petitioning for it], but they are the only twenty people who’ll ever buy this stuff. Ever. Jared: We’re certainly not disregarding completely, but it’s not a guideline. When Sideshow initially got the Star Wars license for the 1/4 scale line, were you hoping that it would lead to the 12-inch line at some point? Brock: Anytime we take a license out on something we’re almost never looking for just the one thing. With Star Wars, it was our dream to have things beyond the 1/4 scale. The 1/4 scale is great and has done well for us, and I think fans appreciate seeing something different coming out for the Star Wars Universe product wise, but the 12-inch figures have always been an aspiration although when we first got the 1/4 scale we weren’t looking for it at all. We didn’t ask about it. Hasbro had the license until who knows when, to 2018 or something like that, but it was always there in the back of our minds. It was just through circumstance that we caught wind that [Hasbro] weren’t going to develop 12-inch figures, that they were going to put a hiatus on it, and we just started making phone calls. It was really our partners at Lucasfilm that pushed it for us. We still had to go through Hasbro, but our guys really pushed for us and that got it across the plate. But going back to what aspirations we have of all this, like with the 1/1 busts, we’re always trying to find the avenues to take our artist resources, our great sculptors, effects studio relationships, and our knowledge of the collectible market for figures as it stands right now. Brock: We’ve always talked about it internally, but before we announced it we already had it in development product wise. It was kind of a calculated thing announcing it at [San Diego] Comic Con, but the ink was just barely dry. We’ve been developing it for a while, but not since the beginning of the year or anything like that. Several months before we announced it we started figuring out which figures we were going to do, what characters, what order we’re going to do them in, and start that whole process which is not as easy as it sounds. How will the Sideshow 12-inch line differ from the Hasbro line? Brock: The thing that people have to understand is that while they are going to be on our 12-inch bodies, these are not action figures. They are not toys they are collectible figures. They are going to be great and have a bunch of great accessories, but they are not going to be wacky-tacky-clacky shooting missiles and that sort of thing. They’re going to be collector-aimed figures that will have high quality costumes, sculpts, and accessories. In comparison to Hasbro we definitely have to respect what they’ve done with the line. They started it and have done it for years, but they have a different market than us. They are aimed, still with the collectors in mind, at the child friendly mass-market and for the price what you got was awesome. It would be the same thing if we tried to get them down for that much for as wide of distribution that they had. It’s insane what they did, so to say that Sideshow is going to blow them out of the water, no, it’s a totally different animal. They were definitely the granddaddy before us, so we’ve got to respect that. Has Sideshow ever considered taking the 12-inch line the mass-market route? Brock: We’re pretty comfortable [where we’re at]. We were in Toys “R” Us years ago with our Universal Monsters 8-inch figures and some other items, but we decided to turn it more towards tighter edition sizes, higher quality, and collector friendly. It’s hard to be collector friendly when there are forty thousand of the figures out there. ‘Collector friendly’ meaning that when you buy something and it’s going to maintain or up its value. We’re not really interested at this time in going back to mass-market. We’re really comfortable where we’re at, we have a successful business plan in what we’re able to utilize to make collectors happy without over saturating it. I think it’s a interesting turn in what’s happening, for a while since in mid to late Nineties everyone’s got an action figure –and I’m into it too—but as the market’s matured those kids are now older with more access to money and they want to up the ante a little bit so they are getting more into 1/6 scale figures, statues, 1/1 stuff. I have friends that used to have walls covered in boxed action figures and now they are selling those to make room for their various Marvel statues and Bowen busts or what ever it is they are buying. Me personally, I have both, I like action figures and statues, so I buy both. Considering your history of your products selling out and the popularity of Star Wars collectibles, would you consider re-releasing popular pieces that there is still a large demand for in altered packaging, such as a ‘classics’ line? Brock: We have gone through that with various other lines, and with Star Wars particularly we can’t say yes or no directly because who knows what the future brings. At this point no but the thing is there are so many [characters] in the Star Wars Universe. It would be easy to repackage it and throw it out there but even if it were in different packaging it still deflates the value in the minds of someone who already has it. It takes away a bit of it being special. There’s just so many figures to do, why re-release one? So we can rest assured that we won’t be seeing an army of Tatooine Lukes? Brock: No. Definitely not. We’ll visit a version of a character once and go on from there. We may, further on down the line, make a special deluxe version of it, but that’s doubtful, but it may happen. It’s hard to say since we’re just starting this and we just want to see how it does. We have high expectations [for the line] but at the same time we remain humble about it. We really just want to put out the figures we have and we think that fans will be really satisfied with what we’re doing with it. What about the Expanded Universe? Do you plan on continuing the polls and offering them as Sideshow exclusives or possibly expanding it into a line of its own? Brock: The way that Expanded Universe Poll stands, the winner is going to get made, that’s not say that we might not take another figure from that didn’t win and make that later on. It won’t be like ‘second place’ or ‘third place’, it would just be a figure that we all like as a group internally here further on down the line. If it proves successful, yeah we’d consider expanding it into its own line or maybe just peppering it into the whole line here and there. What can we expect to see for figure assortments? Brock: There are five different groups of figures that we’re doing. We’re doing The Jedi Order, Galactic Rogues, The Sith Lords, The Legacy Collection, and The Military Of Star Wars. If an Expanded Universe character fits into one of those lines, which all would, it’ll just be a part of that particular line. What characters can we expect to see in each line? Brock: The Jedi Order and Sith Lords lines speak for themselves. The Legacy Collection would have the main characters, The Galactic Rogues would be villains, creatures, and bounty hunter kind of people. The Military Of Star Wars is one that we really want to do here because we have a lot of military enthusiasts. Star Wars has always had a cool military design both with the Rebels and the Empire with the original Trilogy. This line will have your soldiers in that, but they’ll have their own personalities like what we did with Bayonets and Barbed Wire and Brotherhood of Arms lines. Now that we know that Stormtroopers look like Jango Fett, will we see them with removable helmets? Brock: Probably not. The problem with it design wise whether it’s a Stormtrooper, or any other figure, you have a helmet that goes all the way over a figures head you have to upsize that helmet to accommodate that. What ends up happening is it looks a little to big for what it should. For the most part, if we have a helmeted figure like that, you probably won’t be able to take off the helmet. …if we do a Stormtrooper, you know, they’re not that popular you know. (laughs) Not saying it would never happen, just it’s a production issue to be quite honest. You can get away with that a lot with the 1/4 scale figures, but with the [12-inch figures] engineering makes it tough. The helmets are already kind of big anyway. In Spring you debuted your first 1/4 scale Prequel figure with General Grievous. Do you plan on exploring any other characters from the first three episodes? Jared: We do have the license for the entire span of the Star Wars Universe so it’s very likely that we’ll be doing more Prequel figures. Brock: We originally wanted to do [Grievous] because we heard about him a good year before the movie came out and [Lucasfilm] described what he does, what he is, and that he’s got four lightsabers and four arms and that he was a crazy battle guy and we were like ‘we got to do that!” We didn’t care how complicated he is, or how much he’s in the movie, he sounds cool. I think as the years go on, certain characters from the Prequels will still stand out as being classic characters. Jared: Grievous really lent it self to that format too. Because he’s more mechanical, we could make him static and we’re never going to do a 12-inch Grievous figure. I can guarantee that. That’ll make a lot of people cry. Looking at the 1/4 scale Grievous, there is little doubt that Sideshow would make the quintessential 12-inch scale version. Brock: We are really collector aimed in terms of keeping the value, or at least maintaining what you paid for it. What factors into it is not just who’s going to buy it, but what the actual suggested retail price is. When you have a figure like Grievous where, except for the cape, is all sculpture based while 12-inch figures have standard bodies, varying sizes, that we put the clothing on and add some hands and feet, head, and accessories on to it, it’s effective so we can give tight efficient sizes and have them so they still retain value. With something like Grievous, you have to sculpt every single part. If you’re doing it in a 12-inch scale, you can’t keep it down to that price. It’s not going to happen. Not when you can buy other figures in the line for a third of that price. Where does that leave you with other non-human figures such as Droids? Jared: It forces us to get really creative on how we’re going to adapt nonhuman characters on a 12-inch body. You can have arm extension and leg extensions; all things are possible I think. Development can be a little longer on it and it could affect the SRP on the more complicated figures, but we weigh that on how popular the character is to the fans and if they’ll really enjoy it when it comes out. [With C-3PO and R2-D2] it’s hard to tell. They’re like Grievous, though not as complicated, they still possess their own unique intrinsic problems. I think they are doable, certainly. How extensively accessorized will the 12-inch line be? Jared: I don’t think we’re going to try to create a huge assortment of the same figures per film, but it is easier to do it with certain figures than with other ones. For instance with Jedi Luke it’s easier to do what Medicom did and present it in the package that shows him from the full film. That wouldn’t be hard to do, but if we wanted to do Luke from The Empire strikes Back, we couldn’t do him with his Hoth gear, and his Bespin gear, and whatever he wore on Dagobah, which essentially is the same thing all in one big pack. That would be an instance where it would be explored as packages that would have him in his Hoth gear and another where he’d have his Bespin gear. So it comes down to how a character appears and how complicated it would be to package them up with everything. If they are pretty much consistent throughout the whole film then there’s really no reason to break them apart that much. If it’s just adding an extra accessory, we’d probably just do it that way. Will the 12-inch line utilize scaled bodies to better represent the heights of the different characters? Brock: If you line them up it wouldn’t be scaled perfectly, but it would be apparent. Jared: It’s taken into consideration. If you line them up in a Usual Suspects kind of line up you’d notice the difference. What about figures like Chewbacca? Jared: Thinking about him is scary. We start thinking about him and we have to stop because it hurts. There are a lot of challenges to make him look right, but I can we’ll definitely take some time looking at him because not having him in the 12-inch line would be a shame. Brock: But we don’t want to cop out and have a camped kind of manner or we can’t do all we should so here’s this wacky version. We definitely want to do him just as cool as we are able to achieve whether it’s real fur or sculpted. Jared: If we were going to do him it would have to be right. It really depends on how the fur would lay. It’s finding the right material to put the finishing touch on it so it can be achieved in production. Do you have any plans to incorporate any light or sound chip features to the 12-inch line? Jared: At this time we are not. Not to say our lightsabers will not be cool (Note: They will most certainly be cool. Trust me on this one…) [Electronics are] very cool novelty features, they look great, but light up features in this line are probably not going to happen. I would love to do them but the mechanics just wouldn’t work out and the price would jump up for it. Probably more than what most people would expect to pay. Brock: With a saber that big if you’re going to do it in scale and the detail that’s correct you’d have to have a wire go to it and have it attached to the hand. I’ve seen it done with Hasbro and they did some interesting things with it the 12-inch. I can think of an Obi-Wan from Attack of The Clones that had it. It was interesting but it changed the articulation and the overall form. It looked like it had a light feature in it with the hand that it plugged into which was a little bit too big. It worked for them but for us it would be completely different monster to tackle. Sideshow seems to have a special love for severed limbs, and as we all know, George Lucas is in on the same tip. Will you be incorporating any removable limbs into the 12-inch line? Brock: It really depends on where they get chopped off. Anakin’s got full cloth sleeves, and if we were to do that I’d don’t know if it would have the right effect. If it were a hand it would be really easy to do. Brock: Right! And we’ve always had success with severed limbs. Jared: Severed parts are great fun to play with! So it’s totally a possibility depending on the character. How we are representing a character from the film, which film it is, if it’s important to that character’s appearance then it is certainly within our realm of expertise in severed parts. What can we expect to see with the packaging designs for the 12-inch and 1/1 scale lines? Brock: With the 1/1 Bust, I don’t think anything has been really designed. We’re not even into the conceptual phase of that. When it comes to the 12-inch, it will have a different look than our 1/4 scale packages slightly. It won’t be exact, but it will have some elements the same. It will be similar to what we’ve done with the 12-inch before, but again a little bit different. There are some pretty cool designs that I have seen that are interesting. If you have the boxes out on your shelf with the spines out they’ll all look similar but when you break them out and open them they should have some different features about them. Where do you see the 1/1 scale busts going after Darth Maul? Brock: It’ll be maybe two or three a year, most likely two. We’ll be announcing the other one pretty soon. The approach with the selection of the various characters is what would look cool in 1/1. You tell me, would you want a 1/1 Luke look at you? You run into issues with hair and such. Jared: I think the collectors would far more likely want to have denizens of the Cantina or some of the background characters. Something more alien. Brock: The departure is we’d be doing them as they would be done today, not exact replicas of the mask. The masks back then were pretty lacking in detail. We’re not trying to alter history; we’re just adding a little bit more detail to them so they’ll hold up to close discrimination. There’ll be all the detail that’s implied but that you never really did get to see. Jared: The original [masks] looked great on film for seconds, but if you’re going to have one as is from the film sitting in your living room you’ll notice that it’s starting to fall apart, ripping and tearing, but ours are for more of a close up 20 minute staring. Brock: So whether it’s a semi-human like Darth Maul or a more alien creature we’re going to try to explore that. Basically, you think of what’s cool with 1/1, and personally I wouldn’t want a 1/1 Luke looking back at me. What about other 1/1 scale things, such as Anakin’s robotic arm? Brock: It really boils down to, and you get into semantics with it, but is it a prop, which we don’t do prop replicas for Star Wars, or is it an actual character. Right now we’re just sticking to the busts, and while we do have other avenues that we can explore, we’re just trying to get this format rolling and see how it does. 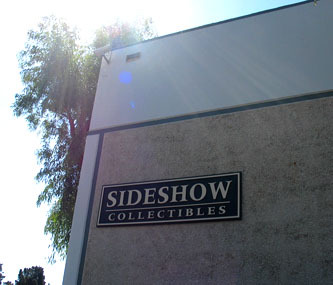 Sideshow has had many names, starting with Sideshow Productions, then Sideshow Toy, and finally Sideshow Collectibles. After the model kits, and the action figures, the first true limited edition collectibles were the 12-inch Phantom of the Opera, Vampyre, and London After Midnight. Actually, we’re going to be running a contest sometime (soonish) about this exact question, so I can’t give away the exact answer. But I can give some hints for anyone who’s guessing – don’t forget the Polystone Figures (8-inch tall), the Little Big Heads, the shot glass, the holiday versions, or Monster Mountain. 3. In a poll of everyone available at the Sideshow offices, what is the most popular piece overall amongst the Sideshow team? The most popular piece that Sideshow has produced? There are a lot of 12-inch Creature from the Black Lagoon fans here, and the old Frankenstein and Wolfman Pozers. 4. For the design team: What is the coolest feature intentionally put on a figure that no one seems to have noticed? Probably some of the tattoos that are covered by clothing. The 12-inch Angel and Faith figures from the Buffy line both have tattoos, which few people have spotted. 6. What was the first item to completely sell out? From Sideshow directly… the first fast sell out was probably the 12-inch Spike exclusive from Buffy, which included fancy black fingernails. But very few products AREN’T sell outs – it’s just a question of how quickly. The Premium Format [1/4 scale] ‘Rebel Hero’ Han Solo sold out VERY quickly too. 7. In total, up until this point, how many items has Sideshow produced? More and more every year. We’ve announced and produced well over 225 12-inch figures, over 180 Lord of the Rings products, 50 plus action figures, more than 30 Premium Format figures, and more statues and busts than I care to count at the moment. 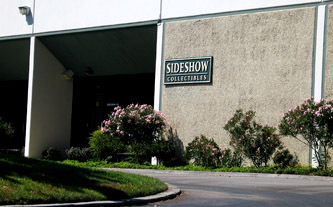 Easily more than 600 products in Sideshow’s first 10 years. 8. Who is the most famous person you know of who collects your figures or statues? We know of quite a few celebrities who collect Sideshow figures, ranging from Steven Spielberg to Liv Tyler to Hugh Hefner. Check out our catalog for some of the more flattering quips about the figures, including quotes from Guillermo del Toro, Mike Mignola, Frank Darabont, Richard Keil. 9. If the office was on fire and only five items (excluding humans) could be saved, what would they be? Can’t save any humans? All right, we’d have to save the 5 original Balrog statues from the warehouse (I kid, I kid). 10. How many people on the Sideshow team have had a friend ask for a Balrog? Everyone with a friend that like Lord of the Rings or money. It’s amazing what the secondary market value on the Balrog has grown to – just quite astounding. It is a fantastic piece. It would be the Predator Bust (it’s a mini-fridge size) – but the upcoming 1:1 Endoskeleton will take the cake (5 mini-fridge size boxes). The Gandalf Bronze – it weighs about 75 lbs. 13. What is the smallest? We did some keychains and Little Big Head PVC figures back in the early days, but the smallest recent item is the 1:4 scale Samaritan, a miniature replica of Hellboy’s gun. It’s real metal, and functional, and should you should not bring one to the airport (as several of our collectors discovered after the 2004 San Diego Comic-Con). 14. How many severed appendages has Sideshow produced? List them please. Punk and rock. The rest of the team is heavy metal. 16. What was the largest line? How many pieces? So far, Lord of the Rings with over 180… but Star Wars and Marvel are gonna give LOTR a run. Classic Monsters may have more total figures, but it’s spread over a lot of different kinds of collectible product (action figures, PVC’s, keychains, shot glasses, polystone statues, Life-Size busts, Premium Format 1:4 scale, and more). Buffy is strong, with over 20 12-inch figures. 17. It was good while it lasted. What line was the most fun to create? For the development team, I’d wager that they had the most fun working on the 12-inch Civil War and WWI lines. It gave the team an excuse to buy old uniforms for re-enactment purposes. 18. What? Still no Rocky Horror Picture Show? Why not??? Does anybody care? 19. Including the new offices you'll be moving into soon, how many different addresses has Sideshow had since going into business? Two that I’ve worked at, two more that I know of, and probably one or two top secret locations. But with artists working in remote locations, Sideshow creative is really world-wide. 20. Show of hands, who wants the X-men 3 12-inch line??? How about X-Men or X2? Old news?